La Manga Club might contest the familiar saying that ‘all publicity is good publicity’. Around the turn of the Millennium, you could not escape the name of the Spanish resort; from Glenn Hoddle announcing his 1998 World Cup squad there (and Paul Gascoigne’s fury at his exclusion) to the antics of Leicester City on a team bonding trip. La Manga is more of a town than merely a golf resort, but in catering for more than just golfers (with eight immaculate full-size football pitches) it received a notoriety it neither wanted nor deserved. Those who have never been now have the chance to visit one of golf’s most famous names – even its logo, a white palm tree edged by green, aqua and navy, is iconic – and to do so while it is vibrant again. La Manga did it again. The pride of Murcia has claimed this award three years running, but is not resting on its laurels with P.Y. Gerbeau and former Belfry man Gary Silcock as LMC chairman and Director of Golf respectively. Gerbeau, who was involved in projects such as Disneyland Paris and the Millennium Dome, and Silcock are determined to drive La Manga to even greater heights among Europe’s elite. They plan to make LMC even bigger and better, including opening a new David Leadbetter Academy prior to staging the first La Manga Club International Pro-Am in early March (7-11). 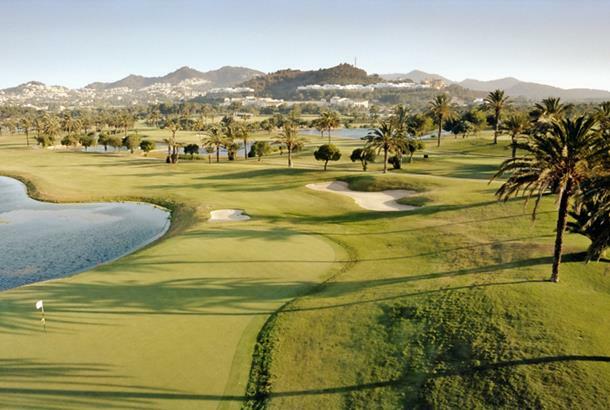 La Manga – three times the size of Monaco – boasts three quality 18-hole courses (South, North and West) along with world-class facilities including a stunning spa, 28-court tennis centre and more than 20 restaurants and bars plus its own secluded Mediterranean beach (La Cala). Accommodation is provided by the 192-room, five-star Hotel Principe Felipe and Las Lomas self-catering apartments.